After Yogi Adityanath and Mayawati, the Election Commission barred two more senior political leaders for violation of the Model Code of Conduct. 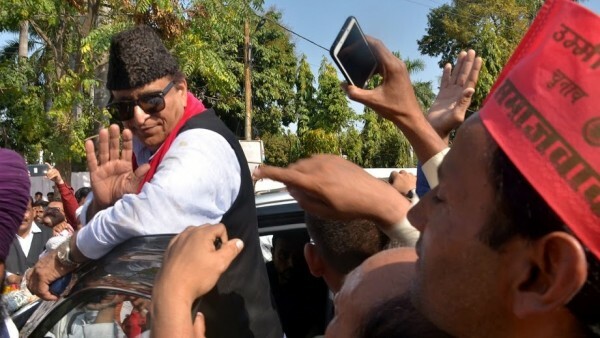 Samajwadi Party leader Azam Khan has been barred from campaigning for three days starting Tuesday for his "indecent and derogatory" comment against Jaya Prada. Another senior political leader, the BJP's Union minister Maneka Gandhi, has been barred from campaigning for 48 hours for communal comments. Maneka Gandhi, the BJP candidate from Sultanpur, Uttar Pradesh, had asked a gathering of Muslims to vote for her, saying otherwise she might not be inclined to be responsive to their requests. The National Commission for Women (NCW) urged the Election Commission (EC) to take “strong and appropriate” action against Samajwadi Partys (SP) Azam Khan for his sexist and below-the-belt “khaki” comments on BJP rival Jaya Prada.